Social media monolith Facebook is said to prepping another huge acquisition, this time setting its sights on Oculus VR, the virtual reality hardware and software firm responsible for the Oculus Rift. Less than one week after announcing a second-generation Oculus Rift development kit, the virtual reality company has revealed it will be purchased by Facebook for some $2 billion in cash and stock. The news was first tweeted by Bloomberg. "Mobile is the platform of today, and now we're also getting ready for the platforms of tomorrow," said Facebook CEO Mark Zuckerberg. "Oculus has the chance to create the most social platform ever, and change the way we work, play and communicate." According to a press release issued by Facebook, the company is paying for Oculus with $400 million in cash and 23.1 million shares of Facebook common stock. The deal is expected to be finalized by the second quarter of 2014. Under the terms of the agreement, Oculus will continue operations from its headquarters in Irvine, Calif., including work on the latest iteration of its Oculus Rift platform. The sale comes as a surprise to many, especially given the buzz around Oculus' hardware offerings. 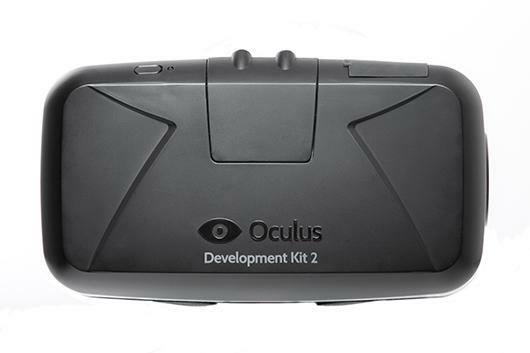 The Oculus Rift created a stir in the gaming industry when it was introduced on Kickstarter in 2012. After a hugely successful funding round, the startup went on to raise nearly $100 million in venture capital financing. With Facebook's infusion of cash and resources, Oculus may be in a better position to accelerate a market date for the Rift, which is still in beta testing. The Oculus acquisition could mark the start of a Facebook buying spree, as the company just last month purchased popular messaging app WhatsApp for $16 billion plus $3 billion in restricted stock units. "This partnership is one of the most important moments for virtual reality: it gives us the best shot at truly changing the world," said Oculus founder Palmer Luckey in a prepared statement. "It opens doors to new opportunities and partnerships, reduces risk on the manufacturing and work capital side, allows us to publish more made-for-VR content, and lets us focus on what we do best: solving hard engineering challenges and delivering the future of VR."